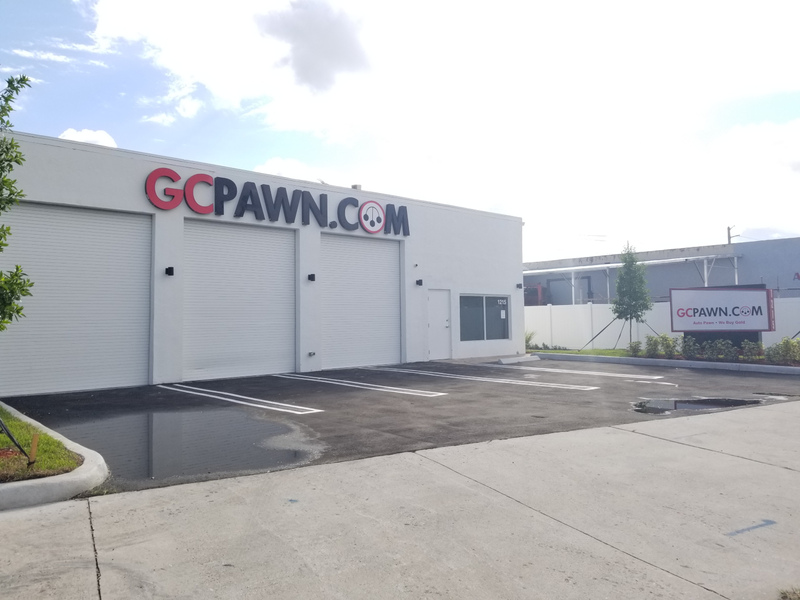 After 10 years at our first pawn location in Pompano Beach we have made a major upgrade to a new facility. Our pawnshop has moved 3 buildings north to a standalone building located at 1215 S. Dixie Hwy, Pompano Beach, FL 33060. Our new facility has parking on both North and South bound lanes of Dixie Highway and the store front entrance is on the South side of our building, just follow the red brick road. We are capable of handling larger items, such as vehicles, motorcycles, lawn equipment, atv's, jet-skis and more. Our hours of operation have expanded slightly. We are open Monday-Friday 9am - 7pm and Saturday 10am - 7pm. We are still closed on Sunday but stay tuned as that might change soon. If you have any questions or concerns please do not hesitate to contact our store at any time. Our phone number has not changed, 954-783-2500.